A Mass of Christian Burial was held Thursday at St. Stanislaus Church, Youngstown for Nick F. Velichko, 77 of Youngstown, who passed away peacefully Monday morning. Nick was born April 22, 1941 in Youngstown, a son of Nicholas Martin and Stella F. Janeczko Velichko. He was a graduate of Woodrow Wilson High School and the owner of Diamond Dies on South Ave for over 50 years. 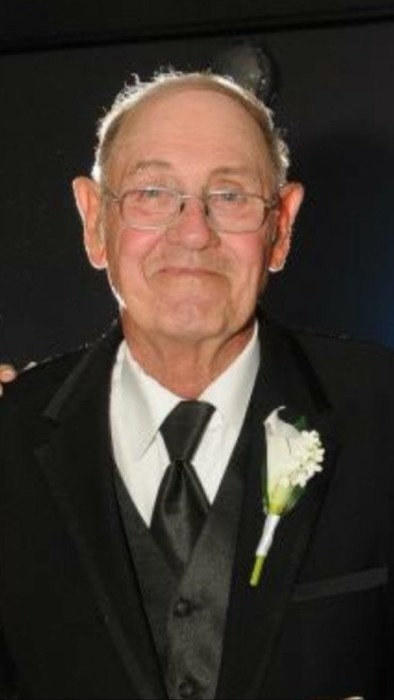 He was a member of Stanislaus Church and avid golfer and Cleveland Browns fan and part time hunter. Nick leaves to cherish his memory his wife the former Audrey A. Papp, whom he married September 15, 1969, daughter Nicole M. Lockard, sons Brian N. (Stephanie) Velichko and Byron C. (Gina) Velichko, children from his first marriage daughters, Julie (James) Gonzalez and Cindy Velichko, sons Nick (Laurie) Velichko and Joe (Brenda) Velichko, sister Elaine (Roger) Green, fourteen grandchildren, seven great grandchildren and his faithful dog Baby. Beside his parents, Nick is preceded in death by a daughter Debbie Puhalla. Material tributes can be made in Nick’s Memory to Hope Center for Cancer Care, 835 Southwestern Run, Poland, Ohio 44514, Arrangements were handled by the Fox Funeral Home, Boardman.